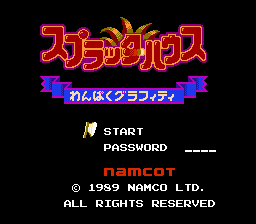 This hack was a big project to port Splatter House that used the Famicom mapper “Namco 106″ to the standard Nintendo MMC-3 memory mapper chip. The benefits to doing this include greater compatibility with emulators and makes it possible to build your own reproduction cartridge with any common TKROM, TLROM, or TSROM board found in tons of donor games. 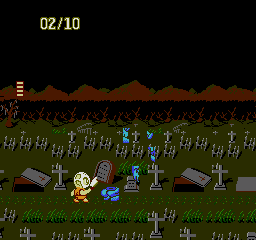 The hack required alot of in depth reverse engineering of the game to compensate for the MMC-3’s inferior capabilities compared to the Namco 106. But the end result is a great port to MMC-3.